1990年香港上海汇丰银行一佰圆。现代1990年设计，全3序列号。PMG Gem Uncirculated 66 EPQ.HONG KONG. British Administration. 100 Dollars, 1990. P-198b. Solid Serial Number 3. PMG Gem Uncirculated 66 EPQ. 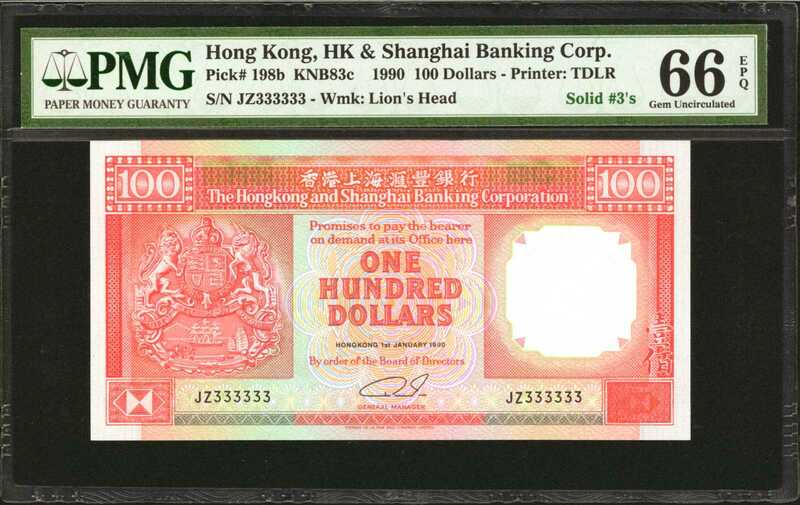 (KNB83c) A modern 1990 design in gem, with a solid 3 serial number.